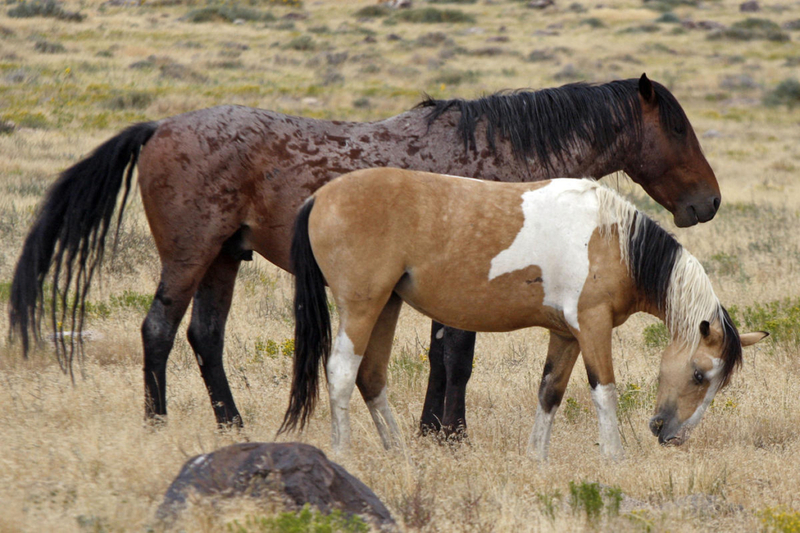 Wild horses in are pictured near Simpson Springs in Utah. Deseret News file photo. SALT LAKE CITY — The U.S. Attorney for Utah Wednesday asked a federal judge to toss Beaver County’s case alleging that federal managers have not done enough to address growing populations of feral horses. The county alleges in a lawsuit filed in February that the U.S. Bureau of Land Management broke the law by failing to prevent explosive population growth of feral horses. It also says in court documents that birth control vaccines given to some herds didn’t do enough to address the problem, and that the glut of horses threatens grazing and its tax base. On Wednesday, John Huber’s office filed the motion to dismiss the suit in U.S. District Court in Utah, saying federal managers were not on the hook to corral all horses there immediately and that the county allegations didn’t include enough specifics or proof. The filing is the latest flareup in Utah officials’ longrunning push to speed roundups. The state does not have the authority to act on its own to euthanize, deliver birth control or put the horses in holding pens. Horse advocates, for their part, have said the vaccines are the only humane way to address the problem. The U.S. Department of the Interior previously argued the county had waived any such objections under a roundup agreement with the BLM. The federal agency has said it wants to move quickly but is slowed down by the several layers of approval and environmental studies that are required. An estimated 73,000 wild horses are roaming Western states on federal lands; the targeted level is 27,000. A state forum in August is set to analyze the problem and potential solutions.